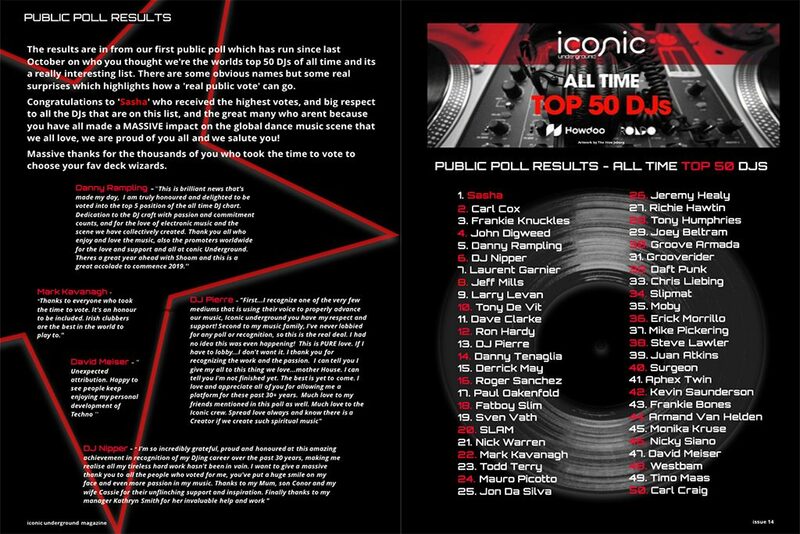 “I am so incredibly grateful, proud and honoured at this amazing achievement in recognition of my DJing career over the past 30 years, making me realise that my tireless hard work hasn’t been in vain. I want to give a massive thank you to all the people who voted for me, you’ve put a huge smile on my face and more passion in my music. Thanks to my Mum, son Conor and my beloved wife Cassie for their unflinching support and inspiration. Finally thanks to my manager Kathryn Smith for her invaluable all help and work”.